The family duo Daoud (Dee Sapeur) and Robbie (RL), aka Rolldens, launched into the scene with breakthrough hit ‘Sunting’ followed by a Wizkid Medicine Remix titled ‘Pretty Girl’. 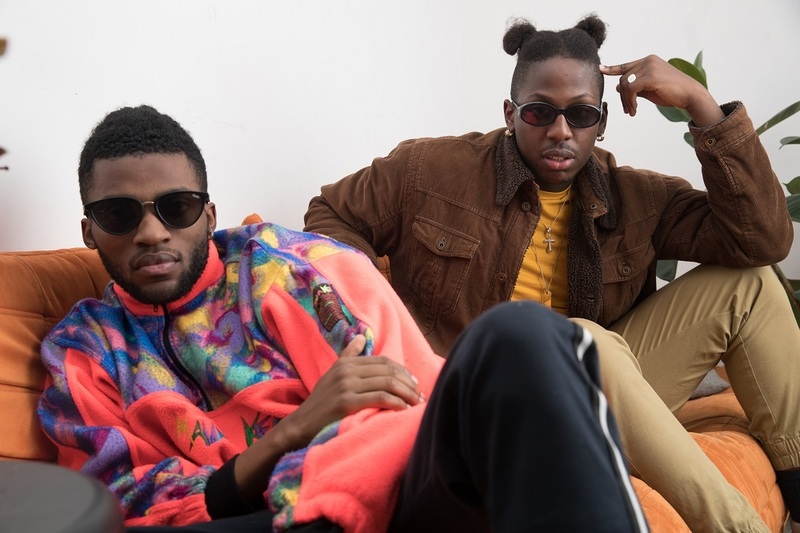 They’ve opened for Kojo Funds on his tour in Sweden, and now their latest single is ‘Hold On’. We caught up with Rolldens to find out more about their music career so far. Melodic catchy and blends in many sounds, so that’s why we call it afro wave. Who did you take inspiration from? Definitely Michael Jackson, Giggs, Wizkid, Burna Boy, Papa Wemba, Anderson Paak. Literally was given from our first manager as Dee and Robbie and he just added it to put Rolldens and we just ran with it since. You opened for Kojo Funds on his tour in Sweden. How was that experience? Amazing experience and a real eye opener to how your music can spread and really shows you people react to your music. You’ve received support from Link Up TV and GRM Daily… what does that mean to you? Great, the UK right now creatively it’s great place too really express and put stuff out there and it’s really giving us confidence. To put our music on those platforms knowing it’s getting pushed properly. Your breakthrough hit was ‘Sunting’. What was so significant about that track? The track was significant because it was our first time recording a track and the track that led us too Sweden so it was a really really significant song. You followed that up with the Wizkid Medicine Remix titled ‘Pretty Girl’. What response did that get? It got a great response locally and it helped us further solidify our growing afro wave style. Tell us about your latest single ‘Hold On’? When did you write it and where did you record it? We wrote the track last January and it was a freestyle though as we didn’t actually write words down it was literally straight in the booth. The track was recorded with our producer Foosteod who is the centre midfield basically in terms of our style. How does it build on your style? Helps creatively especially with freestyling, and the way we create music as it’s really off the cuffs. What are your hopes for ‘Hold On’? For people too really take our sound in more and also more shows more exposure. Growth and also making our self-proclaimed sound afro wave more aware too everyone following the UK sound right now and definitely much more material coming. More bangers, more growth, more learning and creative freedom. Finally, if you could go back in time and give yourselves one piece of advice, when would it be and what would you say? Just allow things too happen naturally and adapt to all situation positively also continue to explore our creative freedom. Watch the video for ‘Hold On’ on YouTube below. Follow Rolldens on Instagram.